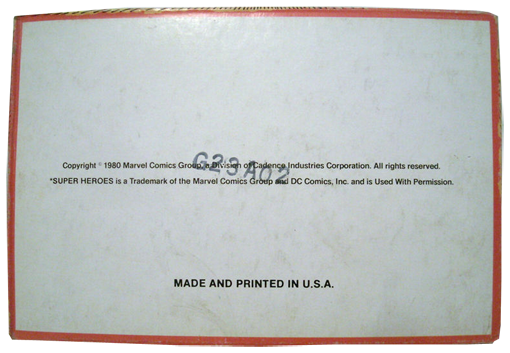 Memphis, Tennessee-based Donruss Co. produced trading cards and temporary tattoos from the 1960s to the 1980s that were based on Marvel Comics characters. 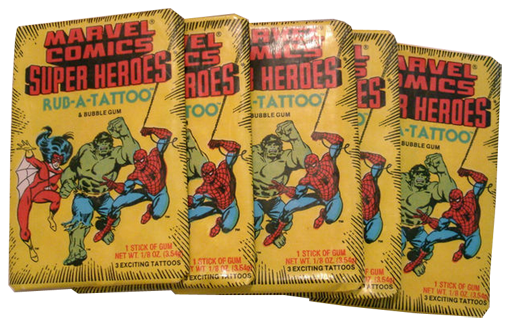 There's an incredible selection of unopened rub-a-tattoo packs and original boxes available on eBay, bringing back fond memories of 1980 when this series of Marvel Comics Super Heroes Rub-A-Tattoos was released. 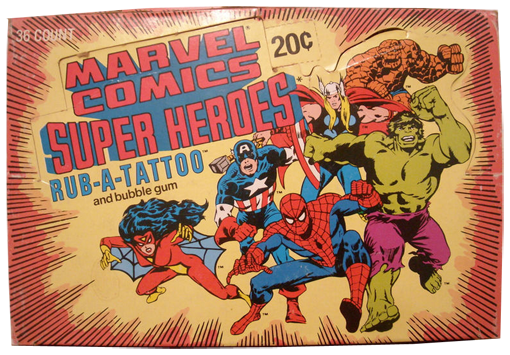 Each pack includes multiple tattoos and a stick of Super Bubble gum that is definitely solid as a rock 30+ years later!